Draft: 2009, Chicago White Sox, CAth rd. Joshua Aaron Phegley was originally signed by White Sox scout Mike Shirley…was selected as a supplemental pick following the first round of the 2009 draft as compensation for the loss of free agent Orlando Cabrera…is married, Jessica…has a daughter, Stella, and a son, Calvin…was diagnosed with Idiopathic Thrombocytopenic Purpura (ITP), a rare condition that results in low blood platelets, in 2010…works with the Platelet Disorder Support Association (PDSA) to help kids with the condition and raise awareness…attended Indiana University…was a First-Team AllBig Ten selection as a junior after hitting .344 with a team-leading 17 home runs and 66 RBI… finished second in the nation with a .438 average as a sophomore…was named a Second-Team All-American by Collegiate Baseball News, the American Baseball Coaches Association and the National Collegiate Baseball Writers of America…is a 2007 graduate of Terre Haute (Ind.) North High School…was named Indiana's Mr. Baseball in 2006. Spent most of the first two months of the season at Triple-A Nashville, where he batted .235 with three home runs and 18 RBI in 36 games…spent the final four months with Oakland and hit .204 with two home runs and 15 RBI in 39 contests with the A's…was on the A's active roster for 106 games but made just 27 starts, all at catcher…his batting average was second lowest of his career to his .201 mark in 2017…nine of his 19 hits were for extra bases (seven doubles, two home runs) as are 23 of his 49 hits over the last two years (18 doubles, five home runs)…batted .226 (14-for-62) against right-handed pitching, .161 (5-for-31) against left-handers…was hitting .225 with two home runs and nine RBI in 14 games at the All-Star Break…then batted .189 with no home runs and six RBI in 25 games after the break…hit .294 with two outs, .152 with zero or one out…had a .267 batting average with one home run in six interleague games, .192 with one home run in 33 games against the American League…committed one error in 39 games at catcher (.996 fielding percentage)…tossed out 6-of-19 (31.6%) attempted base stealers and has now thrown out 46-of-155 (29.7%) in his career…went 0-for-2 with a strikeout as a pinch hitter and is 3-for-17 (.176) in the pinch in his career…hit .192 in 30 games batting ninth, .308 in five games batting eighth. OAKLAND: Began the season on the 10-day disabled list after fracturing the fourth and fifth fingers on his right hand during Spring Training…went 4-for-25 (.160) with two RBI on an eightgame rehab assignment with Single-A Stockton (April 10-12) and Triple-A Nashville (April 13-19) before he was reinstated from the DL and optioned to Nashville April 20…was recalled May 17 for a four-game series at Toronto and went 1-for-4 in two games, including one start at catcher, before he was optioned back to Nashville May 21…returned to Oakland for good on June 5 and started 26 of the A's final 102 games at catcher…hit .202 with two home runs and 14 RBI in 37 games total over that span…went 2-for-4 on June 15 against Los Angeles (AL), his first of four multiple hit games…hit both of his home runs over a five-game stretch from June 20 to 30…was batting .259 with two home runs and seven RBI over his first 10 games through the end of June… then hit .182 with no home runs and eight RBI over his final 29 contests…had a pair of doubles and drove in a season-high three runs Aug. 18 against Houston …hit .136 in nine games in August and .190 in 12 games in September…had a career-high tying three hits Sept. 20 against Los Angeles-AL (fifth time, last: May 28, 2016 vs. Detroit) to snap a 0-for-14 streak…was on the A's roster for the Wild Card game but did not play. NASHVILLE: Walked 15 times with the Sounds for a .331 on-base percentage…had three triples, his first at any level since 2015…hit .394 (13-for-33) with a 1.065 OPS against left-handed pitchers, .174 (15-for-86) with a .624 OPS against right-handers…batted .180 with the bases empty, .293 with runners on…hit .320 with runners in scoring position, including .375 with RISP and two outs…appeared exclusively at catcher on defense and did not commit an error in 19 games (161 total chances)…tossed out 8-of-19 (42.1%) attempted base stealers and has now thrown out 202-of-459 (44.0%) in his career in the minors…also hit .214 with two of his three home runs in 16 games at designated hitter…batted in each spot in the order from fourth through eighth… hit .182 with no home run and seven RBI in 13 games in April…then batted .271 with three home runs and 11 RBI in 21 games in May…had a season-high three hits May 2 at Colorado Springs and May 5 against Memphis…hit all three of his home runs over a nine-game stretch from May 6 to 15…drew a season-high four walks May 9 against Colorado Springs…had a season-best sevengame hitting streak from May 15 to 27 (7-for-26, .269)…was batting .224 with three home runs and 14 RBI in 25 games when he was recalled by the A's for the first time May 17…returned May 22, went 9-for-34 (.265) with four RBI in 11 games, and returned to Oakland for good June 5. 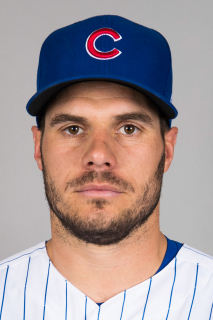 Has spent five seasons in the majors with the White Sox (2013-14) and A's (2015-17) and is a .225 career hitter with 20 home runs and 83 RBI in 232 games…has played in just 83 games over the last two years as each season has been interrupted by two stints on the disabled list…has missed 138 games on the DL over the last two years…was originally drafted by the White Sox as a compensation pick following the first round of the 2009 draft and is a .267 hitter with 68 home runs and 284 RBI in 499 games as a minor leaguer…has tossed out 40-of-136 (29.4%) attempted base stealers at the major league level and 194-of-440 (44.1%) as a minor leaguer…was named to the International League Postseason All-Star team in 2014…was selected to the Triple-A All-Star Team and the All-Star Futures Game in 2013. Hit .256 with a home run and 10 RBI in 26 games in a season shortened due to two stints on the disabled list with a strained right knee…was out from May 10-26 and July 2 through the end of the season and missed a total of 97 games…his batting average was the best of his four Major League seasons as was his .314 on-base percentage…batted .262 (11-for-42) against right-handed pitchers, .250 (9-for-36) against left-handers…had a .360 batting average in eight games in April but then hit .208 over his final 17 contests…now has a .313 (15-for-48) career average in April, .224 after that…hit his only home run in Oakland and has slugged seven of his 10 home runs in two seasons with the A's in the Coliseum… batted .344 during the day, .196 at night…hit .313 with a .421 on-base percentage when leading off an inning…made 23 starts, all at catcher…did not commit an error in 25 games overall behind the plate and now has a 65-game errorless streak since his last error on June 18, 2015…tossed out just 1-of-9 (11.1%) attempted base stealers but has thrown out 30-for-102 (29.4%) in his career. Spent the entire season with Oakland before his season ended in mid-September due to a concussion… hit .249 with nine home runs and 34 RBI in 73 games…batted .305 over his first 32 games through June 26…then hit .208 over his final 41 contests…started 40 of the A's 41 games against a left-handed starting pitcher before his concussion…also made 22 starts against right-handers….hit .276 (32-for-116) against lefties, .220 (24-for-109) against righties…his career splits are .267 (46-for-172) with a .471 slugging percentage against left-handers, .204 (60-for-294) with a .340 slugging percentage against right-handers…appeared exclusively at catcher on defense where he made 62 starts…tossed out 17-of-45 (37.8%) attempted base stealers, which was the third best percentage in the American League among catchers with 60 or more games caught…using the same minimum, it was the best by an A's catcher since Mike Macfarlane tossed out 24-of-60 (40.0%) in 79 games in 1999…has now thrown out 29-of-93 (31.2%) in his career…had 53 assists and his average of 0.88 assists per nine innings was second best in Oakland history among catchers with 60 or more games (Jim Essian, 0.90 in 1978)…committed just two errors for a .996 fielding percentage…batted .344 with five of his nine home runs with runners on base compared to .178 with the bases empty…hit .306 with runners in scoring position, including .400 with RISP and two outs…belted six of his nine home runs at home…had a .284 batting average with two outs…hit .218 against a pitcher the first time he saw him in a game, .276 the second time and .324 after that…batted .193 with a .220 on-base percentage when leading off an inning…started games at every spot in the order except the first three…hit seventh 18 times and eighth 17 times…batted .333 when hitting eighth. Spent the entire season at Triple-A Charlotte before being promoted to Chicago (AL) Sept. 2…hit .216 with three home runs and seven RBI in 11 games with the White Sox…added two doubles and five of his eight hits were for extra bases…hit .222 (6-for-27) against right-handed pitching compared to .200 (2-for-10) against left-handers…both of his hits off lefties were home runs…has three home runs in 56 career at bats against lefties and four in 185 at bats against righties…batted .333 with all three of his home runs at home, .105 on the road…went 0-for-10 with runners in scoring position…started 10 games at catcher and committed one error in 11 games overall behind the plate (.989 fielding percentage)… tossed out 2-of-8 (25.0%) attempted base stealers and has thrown out 12-of-48 (25.0%) in his two seasons with Chicago…went 0-for-11 over his first four games before singling to lead off the seventh inning Sept. 16 at Kansas City…that snapped a career-high 0-for-35 streak dating back to Sept. 18, 2013…was batting .077 with no home runs and two RBI over his first eight games…then went 6-for-11 (.545) with three multiple hit games in three games against Kansas City from Sept. 25-28…hit all three of his home runs and drove in five of his seven runs in that series…had his first career two-homer game Sept. 27 against the Royals. CHARLOTTE: Was named to the International League Postseason All-Star team after batting .274 with 23 home runs and 75 RBI in 107 games with Charlotte…had minor league career highs in runs (69), hits (115), doubles (30), triples (4), home runs, RBI, extra base hits (57), hit by pitches (8) and sacrifice flies (7) and matched his high in walks (31)…ranked second in the IL in extra base hits, third in home runs and slugging percentage (.530), sixth in total bases (222), tied for sixth in runs and RBI and tied for eighth in hit by pitches…ranked second in the White Sox farm system in home runs and extra base hits, third in slugging, fourth in total bases, sixth in runs and RBI and ninth in doubles…hit .320 with 17 home runs and 49 RBI at home, .233 with six home runs and 26 RBI on the road…batted .276 (79-for-286) against right-handed pitching compared to .271 (36-for-133) against left-handers…13 of his 23 home runs came with runners on base…hit .258 with runners in scoring position…tossed out 41-of-94 (43.6%) attempted base stealers, which was the best percentage in the IL…also led IL catchers in games (105), total chances (893), putouts (799), assists (86) and passed balls (14)…in addition to catcher, he also went 0-for-3 in two games as the designated hitter…hit third 54 times, fifth 27 times and clean-up 26 times…had his best batting average with a .340 mark in the five spot…did not homer in April and began the season with a 21-game homerless streak…connected for his first home run May 6 against Lehigh Valley and homered 23 times over his final 86 games…batted .300 over his first 16 games through April 26…then went 15-for-67 (.224) over his next 18 contests from April 27 to May 23…had a season-high four hits May 29 at Columbus to lift his average to .278…then went 12-for-83 (.145) over his next 23 games from May 30 to June 28 to fall to .231…had a 17-game hitting streak from June 30 to July 24…went 34-for-76 (.447) with five home runs, 20 RBI, 20 runs scored and 11 multiple hit games during the streak, which tied for fourth longest in the IL…played in the Triple-A All-Star Game for the International League and went 1-for-2 with a run scored…hit .354 in 23 games in July…was named IL Player of the Week for the period of Aug. 4-10 after going 9-for-16 (.563) with three doubles, three home runs and 13 RBI…11 of the RBI came over a two-game stretch as he drove in six runs Aug. 6 against Gwinnett and five Aug. 7 against Pawtucket…had his lone two-homer game of the season in the latter contest…had three straight three-hit games from Aug. 5-7 (9-for-12, .750)…then went 12-for-63 (.190) over his final 16 contests. Appeared in 65 games with the White Sox after he was recalled from Class AAA Charlotte on 7/5 … started 59 of 80 games after joining the Sox … batted .261 (12-46) vs. left-handers and .255 (26-102) at U.S. Cellular Field … threw out 25.0 percent (10-40) of attempted basestealers … pitchers recorded a 4.15 ERA (238 ER/516.0 IC) when he was behind the plate … was recalled from Charlotte on 7/5 and made his debut that night at Tampa Bay, going 1-3 with two RBI (first hit and RBI off Jeremy Hellickson) … hit his first career home run on 7/7 at the Rays (off David Price), becoming the first Sox player since Miguel Olivo on 9/15/02 at the Yankees homer within his first two career games (source: Elias) … hit a solo homer on 7/8 vs. the Cubs, becoming the first rookie in franchise history to record a RBI in each of his first three career games and fourth Sox player to homer in his first at-bat at U.S. Cellular Field … joined Magglio Ordonez as the only players in team history to homer in consecutive games within their first three career contests … hit a go-ahead grand slam in the sixth inning on 7/11 at Detroit … became the first player in Sox history to hit a grand slam within his first five career games and record eight RBI in his first five games (STATS LLC) … joined Ordonez (1997) and Zeke Bonura (1934) as the only players in franchise history to hit three homers over their first five games (STATS LLC) … entered the game at second base in the 13th inning on 7/13-2 at Philadelphia … hit a game-tying single in the ninth inning off Jonathan Papelbon on 7/14 at the Phillies … collected a season-high three hits on 7/20 vs. Atlanta and 9/14 vs. Cleveland … went 0-22 over his final eight games … was selected to the Triple-A All-Star Team and the U.S. Team at the All-Star Futures Game at Citi Field (did not play due to his promotion) … ranked among the International League leaders in slugging percentage (2nd, .597), OPS (3rd, .966) and average (6th, .316) at the time of his promotion … led the Knights in home runs (61 games) … threw out 40.7 percent (24-59) of attempted basestealers … entered the season ranked by Baseball America as the No. 18 Prospect in the Sox organization and the top catcher. Won his first career MiLB Rawlings Gold Glove Award in his first full season with Class AAA Charlotte ... was named to the International League midseason All-Star team ... threw out 46.2 percent (30-65) of attempted basestealers ... hit a career-high 22 doubles and batted .266 (105-394), his highest mark in a full season ... hit .382 (29-76) in April ... compiled a 13-game hitting streak from 4/13-30 (.415, 22-53) ... homered in back-to-back games on 8/18 at Norfolk and 8/20 at Durham ... went 15-44 (.341) with five home runs and 14 RBIs over the last 13 games of the season ... hit .346 (9-26) with a double, two homers and four RBIs in the IL playoffs. Combined to hit .242 (107-443) with 25 doubles, two triples,nine home runs, 56 RBI and 52 runs scored in 116 games betweenClass AA Birmingham and Class AAA Charlotte...hit .242 (88-364)with 21 doubles, two triples, seven home runs, 50 RBI and 43 runsscored over 94 games with the Barons...combined to throw out 43.2percent (35-81) of attempted baserunners...posted a .281 (48-171)average at home (.207 on the road)...was 4-11 (.364) with 11 RBIwith the bases loaded...went 4-4 with a home run and seven RBIon 6/2 vs. Chattanooga...appeared in 22 games with the Knights,hitting .241 (19-79) with four doubles, two home runs and six RBI. 2010: Was limited to just 48 games due to Idiopathic Thrombocytopenic Purpura (ITP), a rare autoimmunedisorder that lowers platelet count ... combined to hit .284 (50-176) with five homers and 26 RBI in 48 gameswith Advanced Rookie Bristol, Class A Winston-Salem and Class AA Birmingham ... began the season with theDash and appeared in six games before being placed on the disabled list due to illness on 4/16 ... played in fivegames with Bristol before returning from his rehabilitation assignment on 6/27 ... was on the disabled list due toillness for a second time from 7/6-29 ... was promoted to the Barons on 8/16 and hit .292 (21-79) in 18 games... underwent offseason surgery to remove his spleen. Made his professional debut with Class A Kannapolis, hitting .224 (44-196) with nine home runs and 33 RBI in 52 games ... led the Intimidators in home runs despite appearing in just 52 games...went 20-56 (.357)with 15 RBI over a 15-game stretch from 8/3-23...hit .391 (9-23) and tallied 14 RBI with runners in scoring position and two outs...hit a monthly best .275 (25-91) with five home runs and 22 RBI in 24 games in August. June 5, 2018 Oakland Athletics recalled C Josh Phegley from Nashville Sounds. May 21, 2018 Oakland Athletics optioned C Josh Phegley to Nashville Sounds. May 17, 2018 Oakland Athletics recalled Josh Phegley from Nashville Sounds. April 21, 2018 Oakland Athletics optioned C Josh Phegley to Nashville Sounds. April 21, 2018 Oakland Athletics reassigned C Josh Phegley to the minor leagues. April 13, 2018 Oakland Athletics sent C Josh Phegley on a rehab assignment to Nashville Sounds. April 10, 2018 Oakland Athletics sent C Josh Phegley on a rehab assignment to Stockton Ports. March 28, 2018 Oakland Athletics placed C Josh Phegley on the 10-day disabled list retroactive to March 26, 2018. Fractured fourth and fifth fingers on right hand. September 1, 2017 Oakland Athletics activated C Josh Phegley from the 10-day disabled list. August 16, 2017 Oakland Athletics sent C Josh Phegley on a rehab assignment to Nashville Sounds. July 27, 2017 Oakland Athletics placed C Josh Phegley on the 10-day disabled list retroactive to July 25, 2017. Strained left oblique. July 8, 2017 Oakland Athletics activated C Josh Phegley from the paternity list. July 5, 2017 Oakland Athletics placed C Josh Phegley on the paternity list. May 12, 2017 Oakland Athletics activated C Josh Phegley from the 7-day disabled list. May 4, 2017 Oakland Athletics placed C Josh Phegley on the 7-day disabled list. Concussion. October 7, 2016 Oakland Athletics activated C Josh Phegley from the 60-day disabled list. August 7, 2016 Oakland Athletics transferred C Josh Phegley from the 15-day disabled list to the 60-day disabled list. Cyst in right knee. July 3, 2016 Oakland Athletics placed C Josh Phegley on the 15-day disabled list retroactive to July 2, 2016. Strained right knee. May 27, 2016 Oakland Athletics activated C Josh Phegley from the 15-day disabled list. May 21, 2016 Oakland Athletics sent C Josh Phegley on a rehab assignment to Nashville Sounds. September 2, 2014 Chicago White Sox recalled C Josh Phegley from Charlotte Knights. March 19, 2014 Chicago White Sox optioned C Josh Phegley to Charlotte Knights. July 5, 2013 Chicago White Sox recalled Josh Phegley from Charlotte Knights. March 15, 2013 Chicago White Sox optioned Josh Phegley to Charlotte Knights. November 19, 2012 Chicago White Sox selected the contract of Josh Phegley from Charlotte Knights. April 5, 2012 Josh Phegley assigned to Charlotte Knights from Birmingham Barons. January 23, 2012 Chicago White Sox invited non-roster C Josh Phegley to spring training. August 15, 2011 Josh Phegley assigned to Birmingham Barons from Charlotte Knights. July 14, 2011 Josh Phegley assigned to Charlotte Knights from Birmingham Barons. January 19, 2011 Chicago White Sox invited non-roster C Josh Phegley to spring training. August 31, 2010 Josh Phegley assigned to Peoria Saguaros. August 17, 2010 Josh Phegley assigned to Birmingham Barons from Winston-Salem Dash. July 29, 2010 Josh Phegley roster status changed by Winston-Salem Dash. July 7, 2010 Winston-Salem Dash placed C Josh Phegley on the 7-day disabled list. June 27, 2010 Winston-Salem Dash activated C Josh Phegley from the 7-day disabled list. June 22, 2010 sent C Josh Phegley on a rehab assignment to Bristol White Sox. April 16, 2010 Winston-Salem Dash placed C Josh Phegley on the 7-day disabled list. April 2, 2010 C Josh Phegley assigned to Winston-Salem Dash from Kannapolis Intimidators. January 14, 2010 Chicago White Sox invited non-roster C Josh Phegley to spring training. June 27, 2009 C Josh Phegley assigned to Kannapolis Intimidators from Chicago White Sox. June 25, 2009 Chicago White Sox signed Josh Phegley.